Carl Steiner, CEO of TM Industrial Supply from Erie, PA walked away with a check for $25,000. 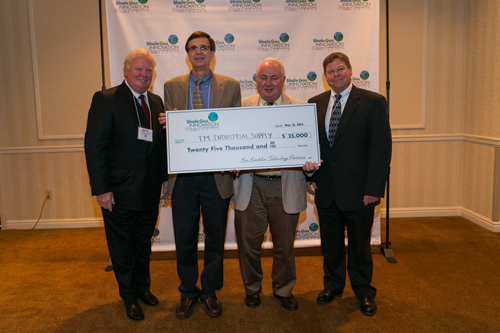 “We are excited to be honored as a winner in this year’s Shale Gas Innovation Contest,” Steiner commented. Read more about the announcement here. TM Filtration’s GFM Technology recognized as an effective method to coalesce and separate NGL’s and other contaminates from natural gas through the use of Gas Flow Membrane Technology.